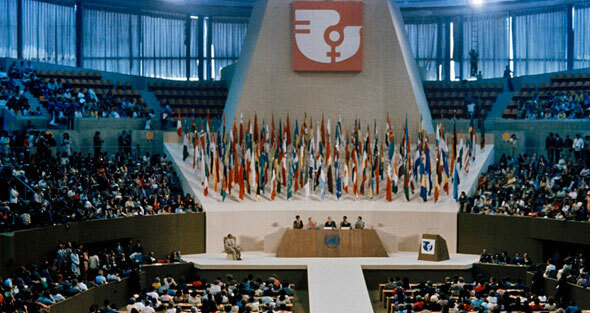 When back in 1945 the United Nations (UN) were constituted, gender equality was simply a utopia if we consider that of the original 51 Member States, only 30 allowed women equal voting rights with men or permitted them to hold public office. Despite this grim scenario, the United Nations declared its “faith in fundamental human rights” and the “dignity and worth of the human person”. 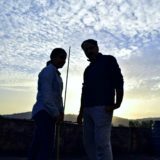 The statement was a bold recognition of social inequalities which introduced decades of struggles for the achievement of full equality of all human beings. At first, the work of the UN on behalf of women focused primarily on the codification of women’s legal and civil rights, and the gathering of data on the status of women around the world. 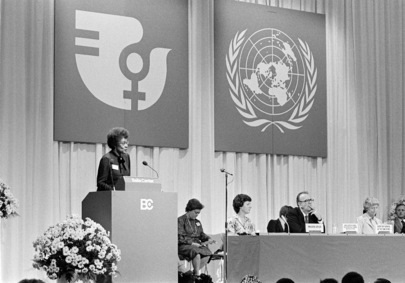 The struggle for equality entered a new phase with the convening of four world conferences to develop strategies and plans of action for the advancement of women. 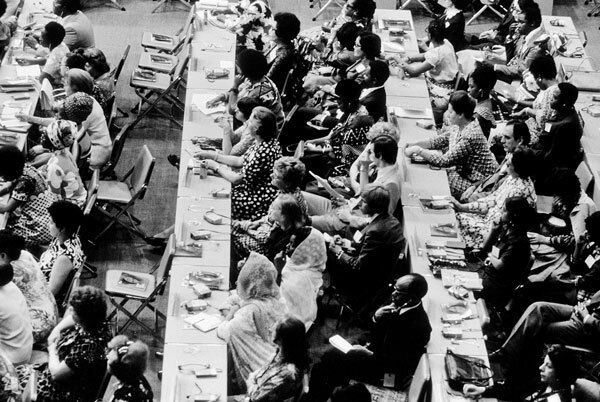 The first UN Women’s conference in 1975 aimed at developing future oriented goals, effective strategies and plans of action for the advancement of women across all the state members. Increased contribution by women in the strengthening of world peace. 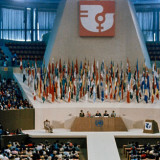 The Conference responded by adopting a World Plan of Action, a document that set minimum targets in pursuit of the three key objectives, that focused on securing equal access for women to resources such as education, employment opportunities, political participation, health services, housing, nutrition and family planning. From passive recipients of support and assistance, to full and equal partners with men, with equal rights to resources & opportunities. 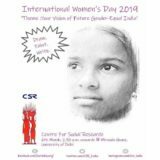 As regards development, the perception shifted from believing that development served to advance women, to a new consensus that development was not possible without the full participation of women. The conference was capable of calling upon governments to formulate national strategies and identify targets and priorities in their effort to promote the equal participation of women. It also showed the vast extent of issues that brought together women from around the world. In preparation of the conference, in December 1979 a new milestone was set. The General Assembly adopted the Convention on the Elimination of All Forms of Discrimination against Women. Also called bill of rights for women, the Convention legally bound 165 States parties and obligates them to report on the steps they have taken to remove obstacles they face in implementing the Convention. However, the Copenhagen Conference recognized the disparity emerged between rights secured and women’s ability to exercise these rights. Lack of awareness among women about the opportunities available to them. With 15,000 representatives attending the parallel NGO Forum, many referred to the Conference as the “birth of global feminism”. The women’s movement, divided by world politics and economic realities at the Mexico Conference, had now become an international force unified under the banner of equality, development and peace. Unfortunately delegates were confronted with shocking data gathered by the UN which revealed that improvements in the status of women and efforts to reduce discrimination had benefited only a small minority of women. The objectives previously set had not been met, and the Nairobi Conference had the responsibility to seek new ways to overcome the obstacles for achieving its goals. 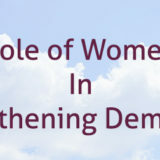 Women’s participation in decision-making and the handling of all human affairs was recognised not only as their legitimate right but as a social and political necessity that would have to be incorporated in all institutions of society. 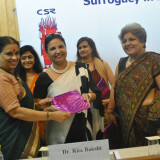 Governments were urged to delegate responsibilities for women’s issues to all institutional offices and programmes. They were also asked to set their own priorities, based on their development policies and resource capabilities. 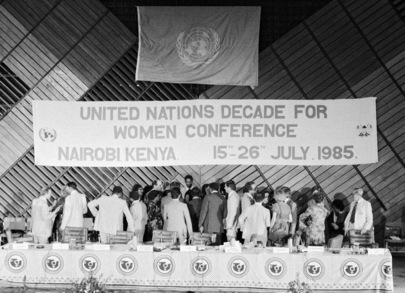 The Nairobi conference broke new ground: women’s participation in decision-making and the handling of all human affairs was recognised not only as their legitimate right but as a social and political necessity that would have to be incorporated in all institutions of society. “CSR has been involved since the Nairobi Conference in 1985, where it worked as a founder on the constitution of the first Women’s Law and Development Forum”, says Dr. Ranjana Kumari recalling those years. While the efforts of the previous two decades had helped to improve women’s conditions and access to resources, they had not been able to change the basic structure of inequality in the relationship between men and women. Decisions that affected all people’s lives were still being made mostly by men. 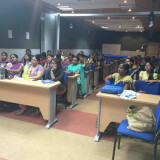 Recognition of the need to involve women in decision-making had begun to emerge during the course of the series of global conferences, but it was only during the Fourth World Conference on Women held in Beijing in 1995 that the struggle for gender equality was taken to a completely new level. The fundamental transformation that took place in Beijing was the recognition of the need to shift the focus from women to the concept of gender, recognizing that the entire structure of society, and all relations between men and women within it, had to be re-evaluated. Governments adopting the Beijing Platform for Action committed to the effective inclusion of a gender dimension throughout all their institutions, policies, planning and decision-making. This meant that before decisions were to be made or plans to be implemented, an analysis should always be made of the effects on, and needs of, both women and men. The introduction of gender mainstreaming called for the re-examination of society in its basic structure of inequality, and the restructuring of institutions and political/economic decision-making in society as a whole.